Removal of Obstacles is “my journey, of fleeing a land ripped apart by turmoil and political and social revolution"
“I remember the music of my homeland, where I had just started playing violin at age four when my family became exiles and left Iran,” says Bahman Sarram, aka Bviolin, who spent much of his life living in Philadelphia before relocating to San Diego in 2000. 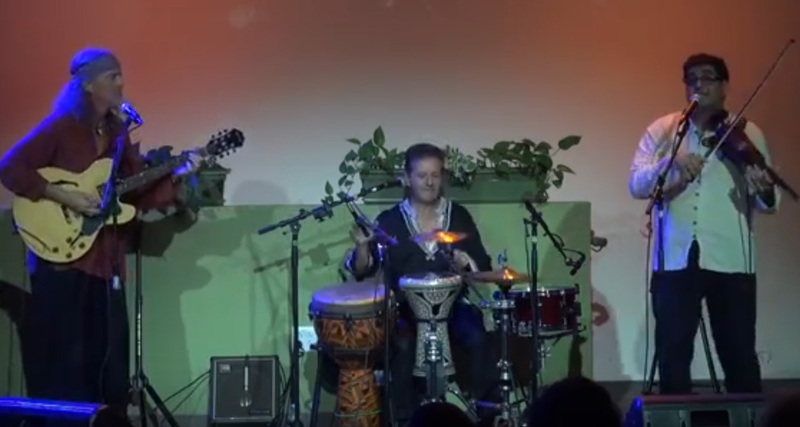 That story is partially told in an upcoming EP from Sarram and his Mystic Groove Collective, pairing him with Reverend Stickman (guitars, bass, vocals) and world percussionist-vocalist Dan Ochipinti (Joseph Angelastro Trio, Sounds Perfect). “Removal of Obstacles is about my journey, of fleeing a land ripped apart by turmoil and political and social revolution, marked by chapters of triumph, wrapped in the ultimate story of love and unity,” says Sarram. Saturday, October 20, 2018, 7 p.m. Mystic Groove Collective, "Sunglasses at Night/Sweet Dreams"